"Gospeled" lives are lives that have encountered Jesus Christ. Christ's call leads to a continually unfolding story for each of us. 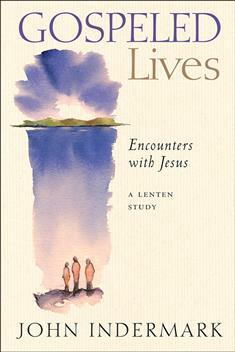 An encounter with the living Christ demands a response, John Indermark says. In this book you will learn about New Testament characters who encountered Jesus. Some responded with joy and gratitude. Others ignored or rejected his offer of good news. Indermark's powerful reflections on the various biblical characters, along with daily reading of scripture, written prayers, and suggested exercises, make an ideal 6-week study for individuals or groups. Each chapter contains 5 daily readings. Study this book during Lent or any time you or your small group wants to think more deeply about what it means to hear and respond to Christ's word.